Located just 55 miles north of San Francisco is a vibrant city overflowing with the best that California has to offer – winetasting, farm-fresh dining, beautiful countryside to bicycle or drive through, family-friendly attractions and a range of places to stay for a week or a weekend. The largest city in Sonoma County, Santa Rosa lies in the heart of Northern California Wine Country. With its abundance of wineries and unparalleled natural beauty, it's easy to understand why Sonoma County is one of the premier winetasting destinations in the world. Tasting opportunities within the city of Santa Rosa include a new urban winery village called Vintners' Square that is home to several small boutique, but full-production wineries with tasting rooms: D'Argenzio Winery, Sheldon Wines, and Krutz Family Cellars. Also within the city proper is Paradise Ridge Winery. Santa Rosa is a great place from which to explore any of nearly 200 wineries within Sonoma County. Visitors can begin their wine tasting journey by stopping at the California Welcome Center to pick up free tasting coupons and maps to member wineries. Among the wineries within a short drive are: Benziger Family Winery, Chateau St. Jean Winery, Korbel Champagne Cellars, Kunde Estate Winery & Vineyards, Matanzas Creek Winery, and many others. Santa Rosa didn't earn Sperling's "best place to live if you're a foodie" designation by accident. Delicious and inspired, Wine Country cuisine is one of Santa Rosa's biggest attractions. Local and regional chefs present the flavors of Sonoma County in eating establishments ranging from very casual taquerias to Michelin-rated restaurants. Diners will find an amazing variety of cuisines from quaint bistros to traditional steakhouses in this foodie-friendly town. American, California cuisine, Italian, French, Indian, Mexican, Thai, comfort-food diners, hamburger joints and coffee houses are all represented. Guy Fieri, Santa Rosa's own celebrity chef, restaurateur, and Food Network star, chose to live and open restaurants in Santa Rosa because of the vitality of the culinary community here. Among the more well-known and beloved eating establishments in Santa Rosa are: John Ash & Co., La Gare, Equus Restaurant, Willi's Wine Bar, Ca'Bianca and many others providing an enjoyable dining experience for every taste and budget. The Wells Fargo Center for the Arts, located just north of town, hosts world-class performances in music, dance, theater, and comedy, drawing entertainers that have included Tony Bennett and Willie Nelson. The renowned Santa Rosa Symphony, which has gained a national reputation for the quality and creativity of its productions, also performs frequently at the Wells Fargo Center. Smaller venues and companies, such as the Sixth Street Playhouse, Summer Repertory Theater (SRT) at Santa Rosa Junior College, and the Imaginists Theatre Collective, stage a wide range of high-quality theatrical productions at various times of the year. SOFA (South A Street Arts District), near downtown Santa Rosa, contains approximately six galleries and hosts a number of art exhibitions and activities during the year, including the SOFA Art Walk, Small Works, Matsuri (Japanese Arts Festival), Vine Art, and Winterblast. Santa Rosa offers plenty of family-friendly adventures, from hiking and biking in local parks to ice skating at the Redwood Empire Ice Arena. Santa Rosa boasts 57 parks within its city limits, including Annadel State Park, Spring Lake Regional Park, Howarth Memorial Park/Lake Ralphine and Hood Mountain Regional Park. Another outdoor adventure popular among families is Safari West, just outside Santa Rosa, which provides jeep tours of a 400-acre area with more than 400 exotic mammals and birds. In addition, Santa Rosa is mere minutes away from some of nature’s greatest wonders, including the Pacific Coast, the Russian River and the redwoods. Santa Rosa is a burgeoning area for agri-tourism sites, where families can get up-close experiences with farm and ranch-related operations from beekeeping to berry picking. Museums, including the Charles M. Schulz Museum, Sonoma County Museum, Pacific Coast Air Museum, and Luther Burbank Home & Gardens provide educational opportunities for young visitors. For budding astronomers, there are public shows at the Santa Rosa Junior College planetarium. Sonoma County's spectacular scenery, gentle rolling hills and mild climate make it a great place for a cycling adventure – and an ideal training venue for some of the best-known bicycle racers in the world, including Levi Leipheimer, who calls Santa Rosa home. In May 2012, Santa Rosa is slated to be the start location for the seventh edition of the Amgen Tour of California, an annual 750-mile professional cycling stage race on the UCI America Tour and USA Cycling Professional Tour. Recreational bicyclists also flock to Santa Rosa, as evidenced by how quickly an event founded by Leipheimer in 2009 called the King Ridge GranFondo, has grown. In 2010, more than 7,500 riders took part, including movie and television star Patrick Dempsey. 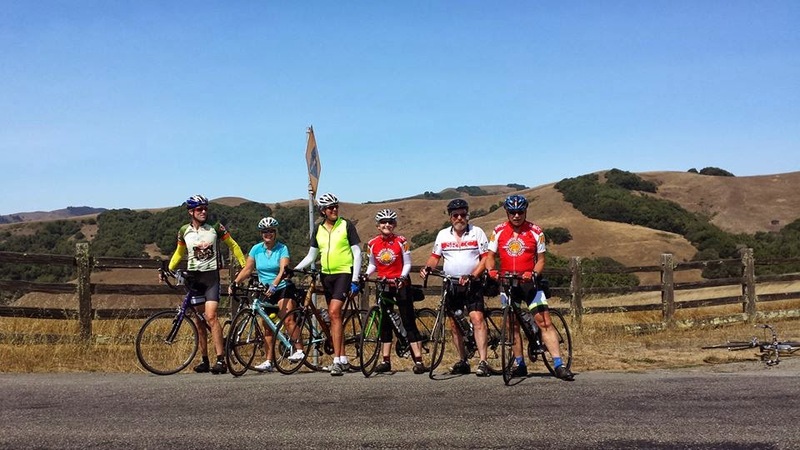 A number of companies provide bike tours through the Wine Country, including Getaway Adventures/Wine Country Bike Tours. Many add to the experience by including wine tasting and gourmet picnic lunches. Lodgings in Santa Rosa include a wide range of experiences, from full-service accommodations with spa amenities to family-oriented, budget-minded comfort stays. Visitors will find a variety of nationally known hotel brands, such as Courtyard by Marriott Santa Rosa, Hyatt Vineyard Creek Hotel and Spa, and Hilton Sonoma Wine Country Hotel, as well as long-time local favorites such as Fountaingrove Inn Hotel and Conference Center, and Flamingo Conference Resort and Spa. Hotel La Rose, a landmark for over 100 years, has old-world charm and downtown convenience. Also available are B&Bs, such as the Melitta Station Inn. Travelers planning a longer stay in Sonoma County can take advantage of Santa Rosa's two Extended Stay America hotels, vacation rental homes, or camping facilities throughout the region, from the coast to Spring Lake Park. Contact Santa Rosa Convention Center and Visitors Bureau at (800) 404-7673 or (707) 577-8674 or visit http://www.visitsantarosa.com. For hotel accommodations, visit http://www.goelevationtravel.com.